I apologize for the radio silence since OSCON. Since announcing that we would be delivering a product this fall, our little team has been working hard to get us locked and loaded on the roadmap. We have also been focusing on the Profile tool that Canonical has been building for us. The other big effort that has consumed a lot of our time is ironing out the logistics for the Beta program we announced last month. Stay tuned, we hope to have some news on this a little later this week. Turns out that taking Project Sputnik from incubation project to real product and launching a beta program at the same in a highly accelerated manner involves a lot of uncharted territory within the company. We are learning as we go along. 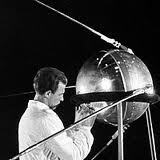 Thanks everyone for your patience and stay tuned for more Sputnik news. A couple of weeks ago we announced a Beta program for the four-month old Project Sputnik — an effort to investigate creating a developer focused laptop based on Ubuntu and Dell’s XPS13 laptop. Since the beta announcement we have received thousands of applications from around the world. This tremendous response, on top of fantastic amount of input we have received on the Project Sputnik storm session, has convinced us to take this project from pilot to product. 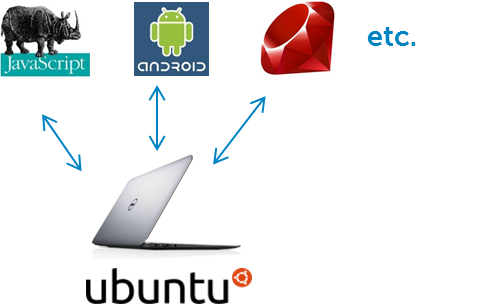 This fall we will be offering an Ubuntu 12.04LTS-based laptop pre-loaded on Dell’s XPS13 laptop. Back in the Spring, project Sputnik was the first effort green-lighted by an internal incubation program at Dell. Thanks to the incubation program we got a little bit of funding and some executive advisers. This incubation program notwithstanding, project Sputnik has been a pretty scrappy skunk works effort to date. The idea behind the incubation program is to harness that scrappiness and inventiveness to explore & validate new ideas & products outside mainstream Dell processes. Thanks to the tremendous amount of support both outside (you, the community!) and inside Dell, with today’s announcement, we will begin making our transition to an official, “mainstream” Dell product. I should also mention, if its not obvious, that we have not been doing the work alone. Canonical has been “scrappin” right besides us, helping to drive the project and doing a ton of engineering on the software side. As I mentioned at the start we have been completely blown away by the number of applications we have received. We’re currently working through logistics of how to handle the tons of applications, we’ll notify all applicants soon, and intend to keep that process and the future product aligned with the spirit of the program. To make sure that we are listening to your ideas, please continue to post any thoughts about what you would like to see in a developer laptop on our Storm session. If you have an XPS13 running Ubuntu and want to share your experience or report a bug or issue, see our forum on Dell Tech center. Thanks everyone for all the interest and passion, stay tuned as we push forward! The solution is based on the high-end configuration of the Dell XPS13 laptop. Cloud tool: will allow developers to create “microclouds” on their laptops, simulating a proper, at-scale environment, and then deploy that environment seamlessly to the cloud. I’ve meant to blog more frequently around Sputnik but it’s been crazy busy marshalling resources within Dell for our little skunk works project. We have captured a lot attention within the company and are trying to leverage that attention to help beef up our core team. One of the areas outside the company we have gotten a great deal of support from is Canonical, the commercial sponsor behind Ubuntu. Probably the area we’ve gotten the most amount of inquiries into is the status of the driver being written for the touchpad to allow multi-touch support. Last week Dell and Canonical received two code drops from the vendor and they are looking very good. Its only a matter of time now before we have driver in the XPS enablement PPA. Stay tuned. Update June 21: the driver for the touchpad is now available! Over the last couple of weeks we had a series of calls with folks from Canonical to scope out the effort around the profile tool. The basic idea around the tool is that instead of stuffing the system with every possible tool or app a developer could possibly want, we are keeping the actual “stuff” on the install image pretty basic. The second phase is focused on automating the configuration of the developer’s toolchain and environment, using a model-driven automation tool like Chef, Puppet etc. The idea would be to create an open community where developers can share these profiles, extend them, etc. We are still figuring out the feasibility of this phase and gauging interest. We’d be interested in any comments or thoughts you have around the profile tool, or anything else having to do with Sputnik. As I mentioned in my last entry, Mark Shuttleworth of Ubuntu fame stopped by Dell this morning on his way back from CES. Between meetings Mark and I did a couple of quick videos. Here is the second of the two. Whereas the first focused on the client, this one focuses on the Cloud and the back-end. The developer story: connecting the dots between app work on the client and testing and then deployment on the other end. I’m always interested in what’s happening at Canonical and with Ubuntu. Last week at Hadoop World I ran into a couple of folks from the company (coincidentally both named Mark but neither Mr. Shuttleworth). Mark Mims from the server team was willing to chat so I grabbed some time with him to learn about what he was doing at Hadoop World and what in the heck is this “charming” Juju?